September 2015: Star Tribune Online: Will Wright mentions Via's Vintage in the style article I’m a snazzy dresser in the land of 10,000 slobs, view the article here. March 2015: Vita.MN: Featured pieces styled into SPRING FASHION 2015: SPRING MIXING, showcasing pattern-mixing and bold color, view the spread here. March 2013: City Pages Online: Featured in Top 7 Vintage Stores in the Twin Cities, view the article here. August 2012: Vita.MN: Outfit from Via's featured in their article Mad for Vintage, view it here. August 2011: Onsite Muse feature models dressed in Via's for Minneapolis Retro / Vintage Wedding, view it here. Nov, 2009: CBS Minnesota Online: Featured in Best Vintage Clothing Shops in the Twin Cities, view the article here. 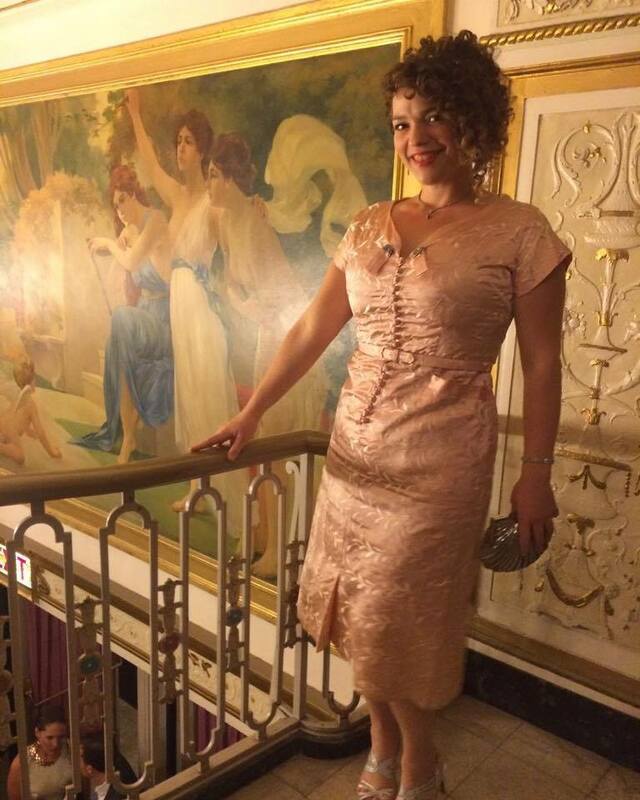 Spotted at the Ivy awards wearing a 1950's peach brocade dress from Via's Vintage.